Add a touch of personality to your gift! 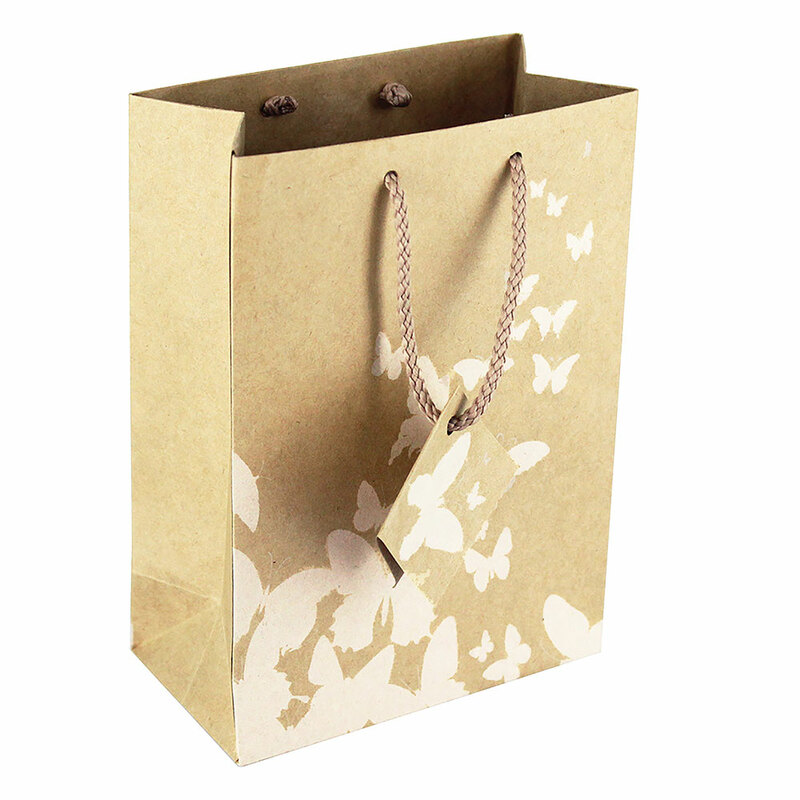 Made of quality kraft paper with lovely white butterflies prints, this unique & decorative gift bag will be a great to pack jewelry and small gifts. 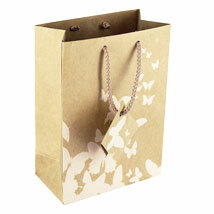 Comes with two top handles and a gift tag, perfectly sized to fit both #60020K, #60021K and #60022C jewelry boxes.